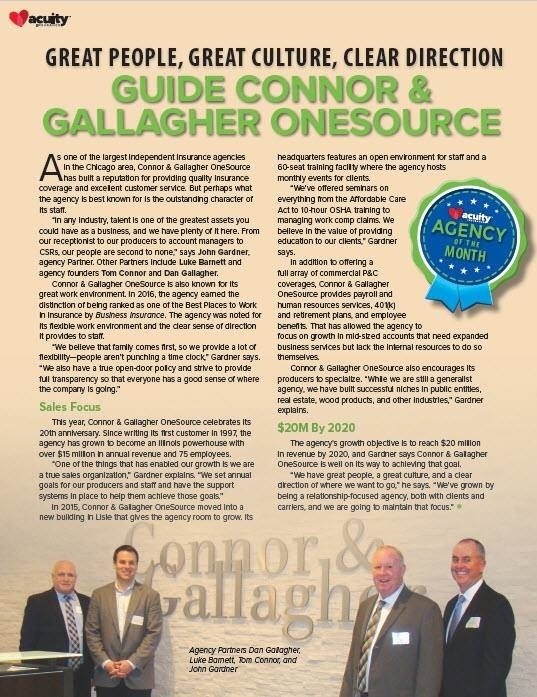 Connor & Gallagher OneSource is growing faster than ever, and we're looking for talented, driven employees who would like to be part of our team. The culture we've established at Connor & Gallagher OneSource has played a direct role in the growth of our company and is a big reason why we have one of the lowest turnover rates in the industry. In August of 2015, we moved into a brand new, state of the art office overlooking I-88 in Lisle, IL. Everything that went into the construction and design of our office was meant to augment the culture we've established at Connor & Gallagher OneSource. Our glass offices and open floor layout facilitates communication and a team working environment, common space provides a place for employees to collaborate with one another and be creative, and our cafe style lounge provides a space for employees to relax and converse with one another and build camaraderie. In short, we’re a close knit group that likes to have fun and work hard. 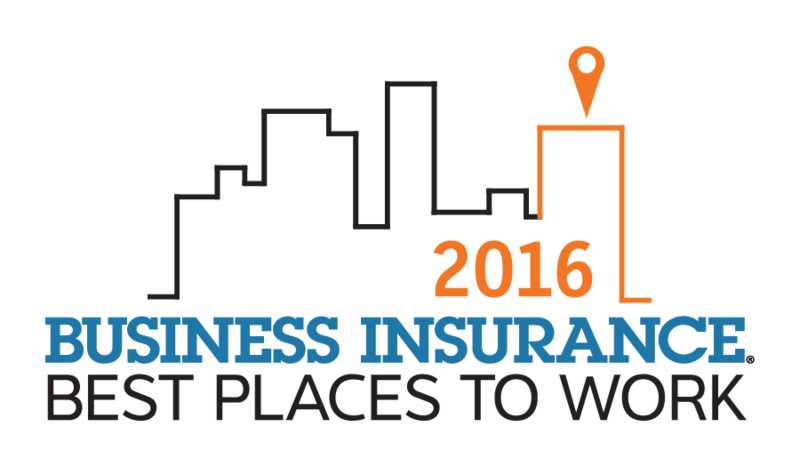 Our recent accolades are a testament that CGO is a great place to work (2016 Best Places to Work in Insurance award), and a company that provides exciting growth opportunities (Inc. 5000 fastest growing private companies in America). Check out the positions we currently have available below. If you or someone you know would like to become part of our team, submit an application! Thank you for your interest, however, there are currently no positions available. Have a Question About Our Job Availability?